Winter is definitely HERE with a blustery vengeance, even in Florida, so what better way to brighten those dreary, cold days than with a sweet woodland Raccoon wrapped around your coffee or tea cup! 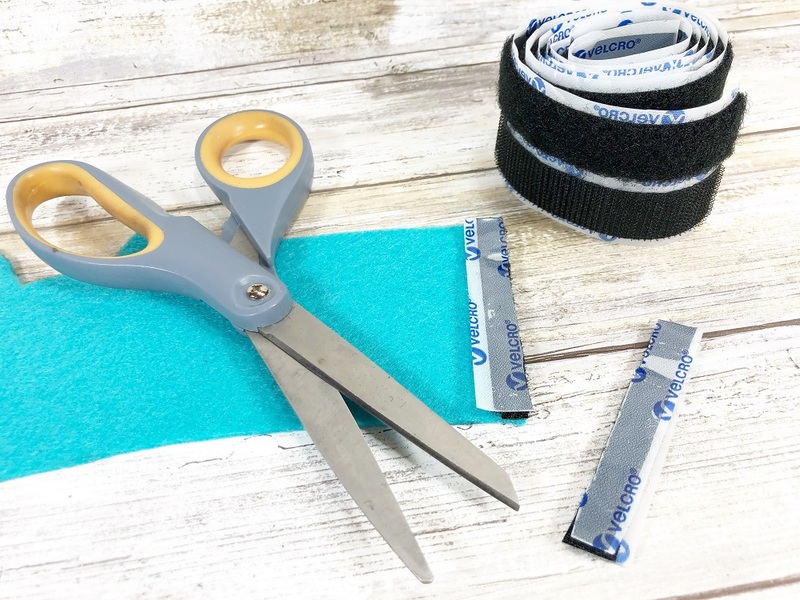 Quick and easy to create in just 15 minutes with supplies you probably already have in your stash! Did you know that October 1st is National Raccoon Day? Celebrate with a super cute coffee cozy! This fun project is a part of the Craft Lighting Obscure Holiday blog hop this week! My super crafty friends Angie from The Country Chic Cottage, Carolina from 30 Minute Crafts have teamed up with Lindsay from See Lindsay and a bunch of talented designers to showcase our creativity! Download and print the coffee cozy patterns HERE. Cut out, trace onto chipboard and cut out again. 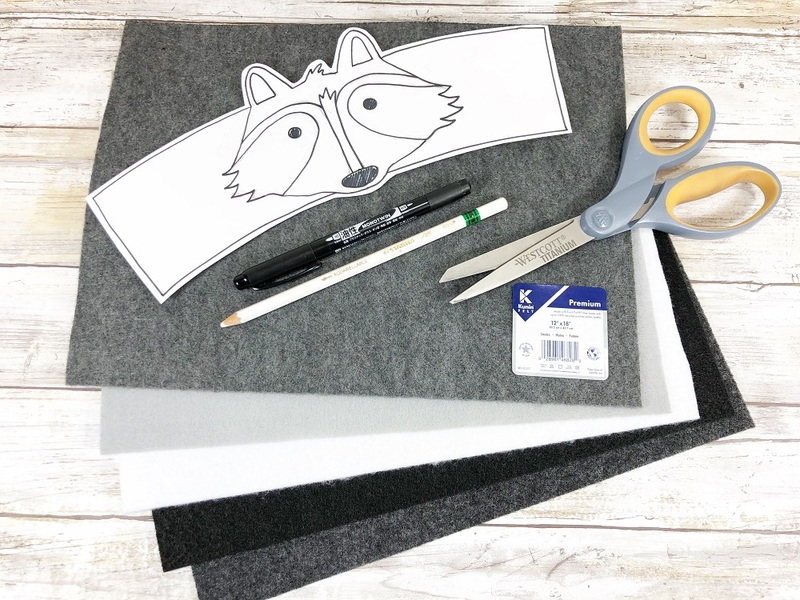 Trace the rest of the patterns on to Kunin Classicfelt™ White, Silver Grey, Charcoal and Black with MONOTWIN Permanent Marker or Aquarellable White Pencil by Stabilo. 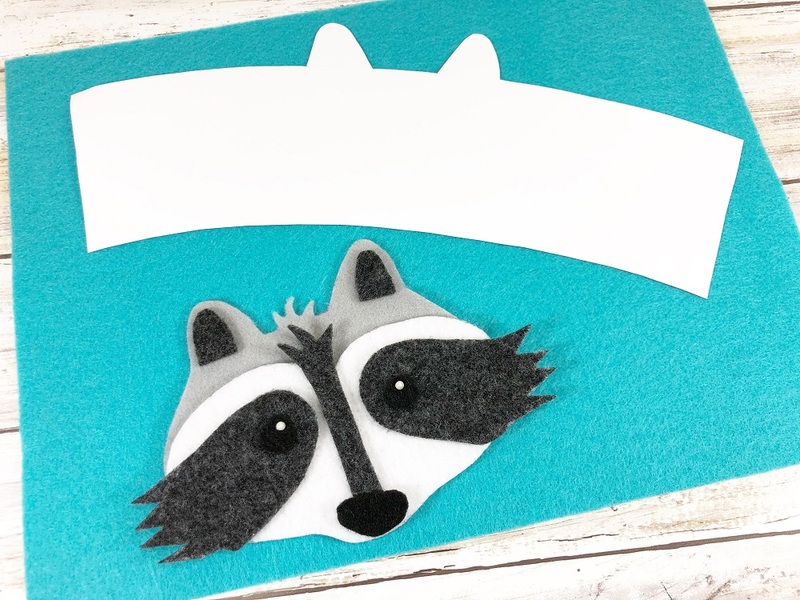 Cut out all pieces with scissors. DESIGNER TIP: Remember to cut INSIDE the lines for a neat and clean finished project. 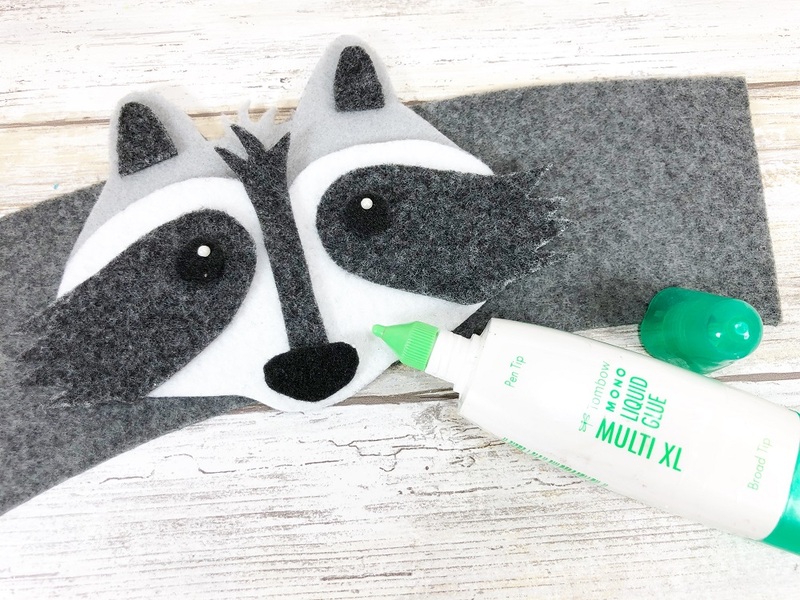 Layer and attach all pieces of the Raccoon Coffee Cozy with Tombow MONO Multi Liquid Glue referring to the photo for placement. Trace cozy pattern on to Kunin Premiumfelt™ Lagoon. Attach half pearls for highlights in the eyes with a small dab of glue for a permanent bond. And finally, cut hook and loop self-adhesive tape to fit the short edge of the coffee cozy. Peel back liner paper and attach top edge. Peel back second liner paper, wrap cozy around coffee cup and press firmly to adhere. 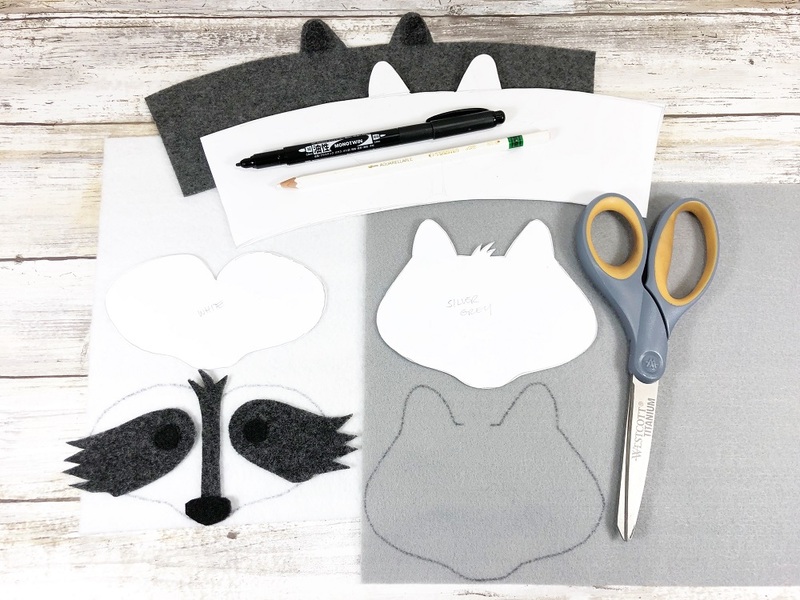 I hope you will use my DIY Woodland Raccoon Coffee Cozy as a jumping off point to showcase your Kunin Creativity and create something sweet and snuggly today! Now it’s time for the fun stuff! Click on the link below to visit ALL of the Obscure Holiday craft projects that ALL of my talented designer friends have created this week! Some will really make you giggle! Felt is an easy, versatile and forgiving medium which allows you to create affordable but trendy projects whether you are a beginner or an expert crafter!